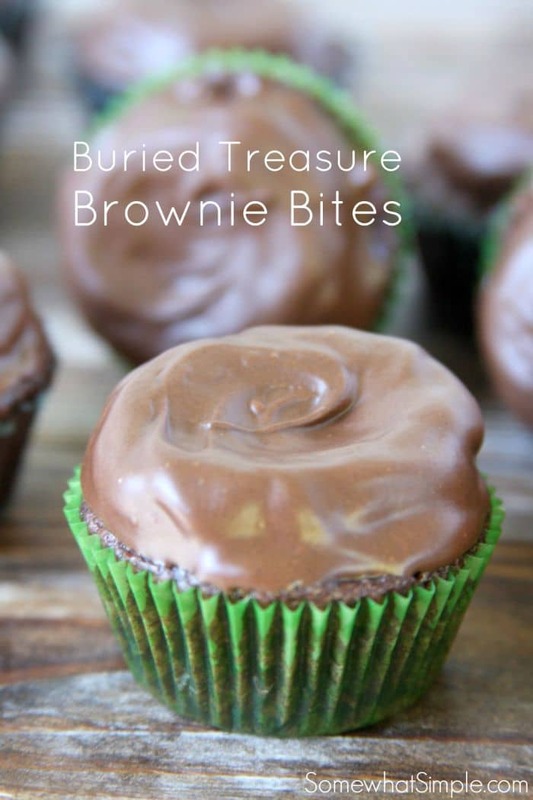 These Buried Treasure Brownie Bites are a delicious treat with a fun surprise inside! 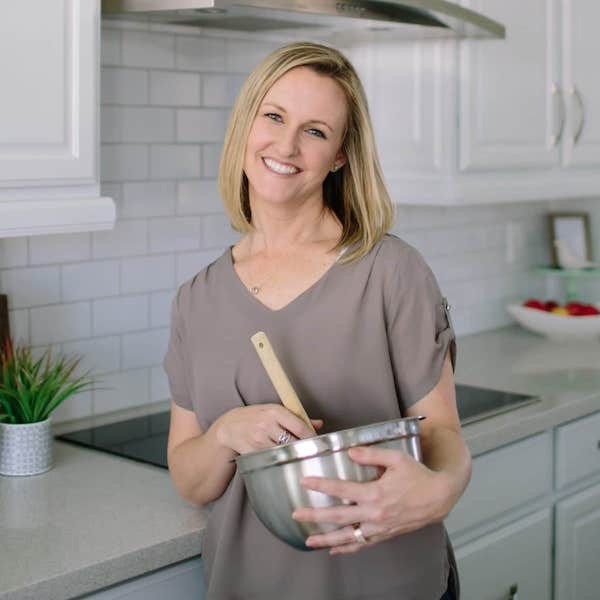 Brownies are one of our favorite treats to make in our family, and we love the convenience of grabbing a mix out of the pantry. 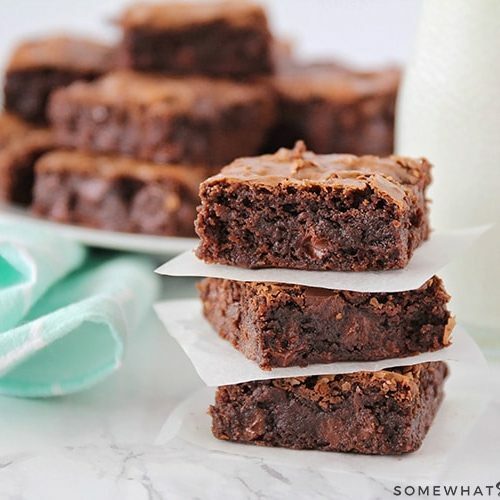 Now there’s even more to love since we discovered the Pillsbury Purely Simple Chocolate Chunk Brownie Mix! With no colors, preservatives or artificial flavors, not to mention a list of ingredients that I can easily pronounce, I feel better about giving this to my family. 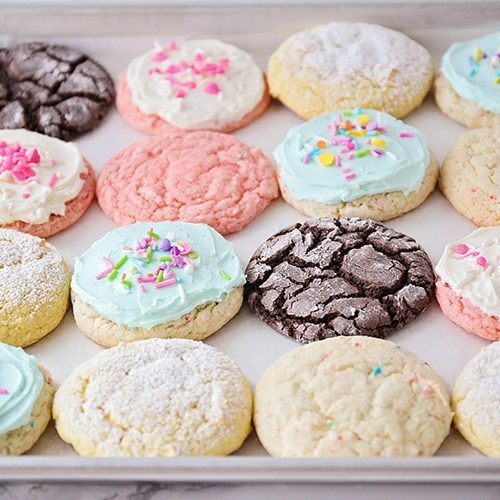 Besides brownies, you can also find Purely Simple mixes for cakes and cookies, plus frosting! 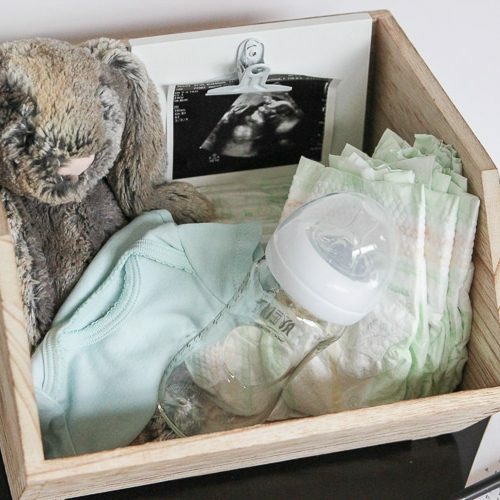 I’m excited to participate in a fun blog hop with some amazing bloggers! I sent these Buried Treasure Brownie Bites to Jenny at Picky Palate, I hope her family enjoyed them as much as my family did! 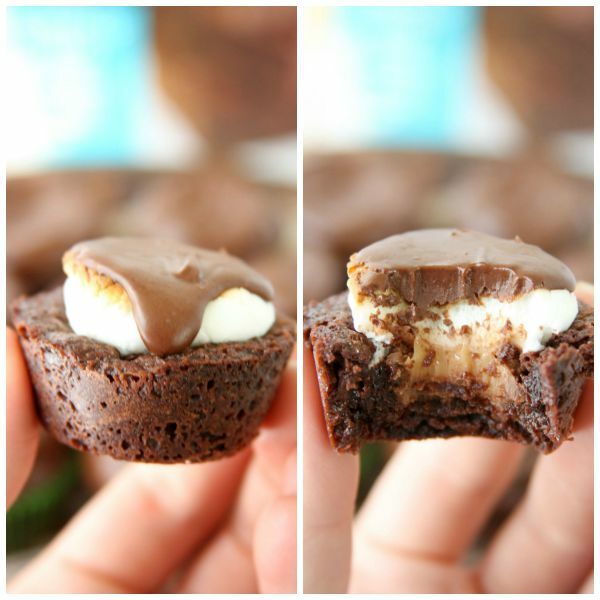 My kids loved the Rolos hidden inside these brownie bites. Simply press them into the warm brownies. So easy! 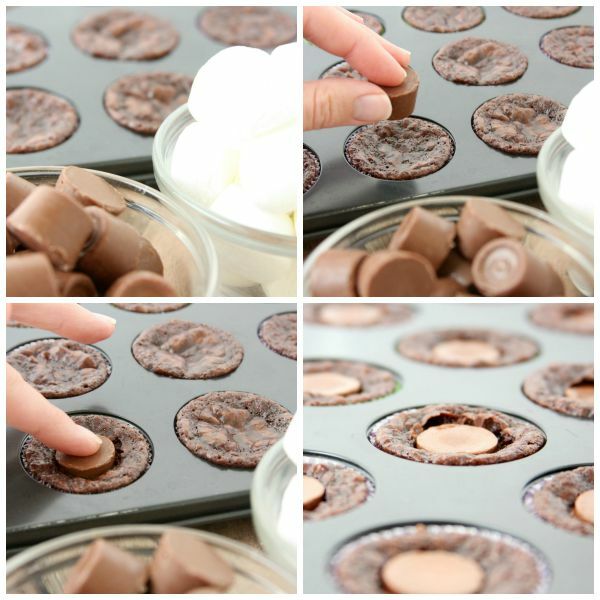 To hide the Rolos, take half of a marshmallow and gently press it (cut-side) down on top of the melted chocolate. Put it under a hot broiler for 20-30 seconds to toast the tops. Watch carefully! Anything under a broiler can burn very quickly. I completely covered the marshmallow with chocolate to help keep it fresher, since it had to travel to another state. It’s also a fun look to cover just the top of the marshmallow, and let the chocolate drizzle down the sides a little bit, leaving some of the marshmallow exposed. Combine the brownie mix, oil, water & egg. Stir with a spoon 50 times (according to package directions). Using a small (#60) cookie scoop, scoop cookie batter into the muffin tin(s). Bake for 9-11 minutes (mine are always perfect at 10). 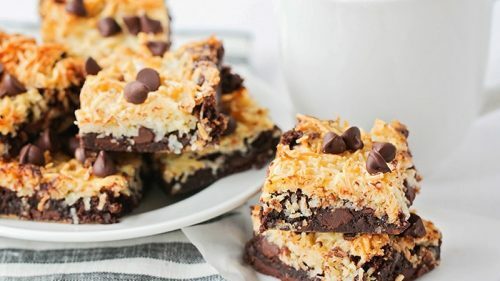 When brownie bites are done, remove from oven and turn the broiler on. Press a Rolo into the center of the brownie and press it down so it’s buried inside (top will be showing). 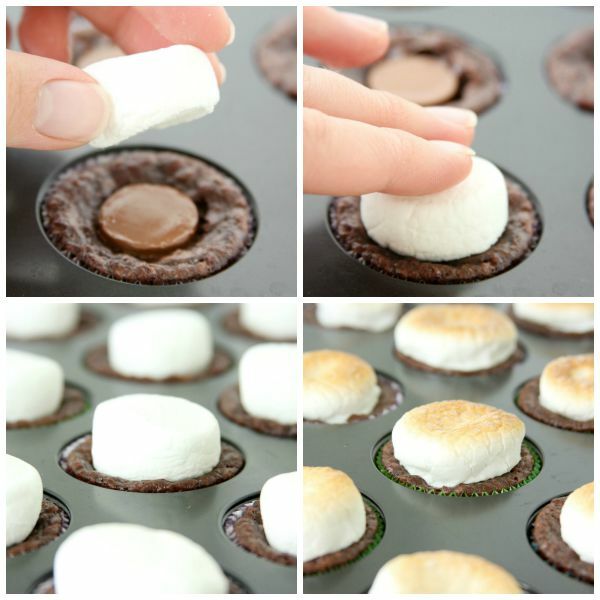 Place a marshmallow half, cut side down, on top of each Rolo, and gently press so the marshmallow touches the melted chocolate (this will help it stick to the brownie once everything is cool and hardened). Once all of the marshmallows are in place, place under the broiler for 20-30 seconds to toast the tops. They will brown quickly, so watch carefully! Melt the chocolate and chocolate bark together. Place a small amount on top of each marshmallow. 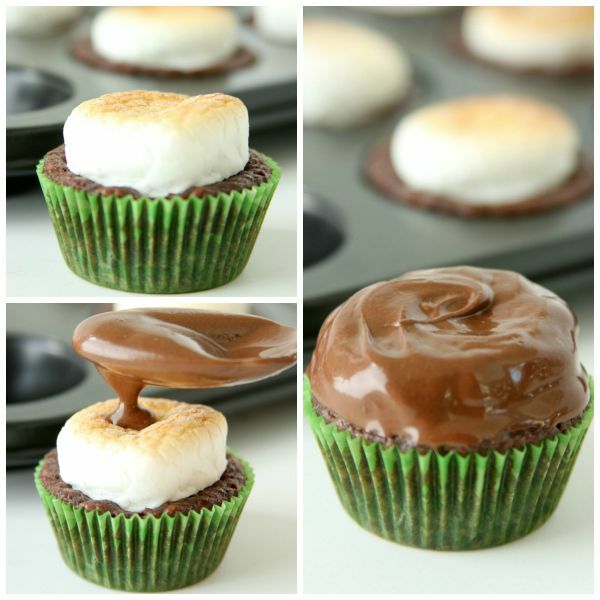 Let drizzle down the sides of the mallow, or cover it completely…however you want it to look! Some of the papers were a little hard to peel off the brownie bites. I used them so our treats would have a longer shelf life, since they needed several days to be shipped to Jenny. 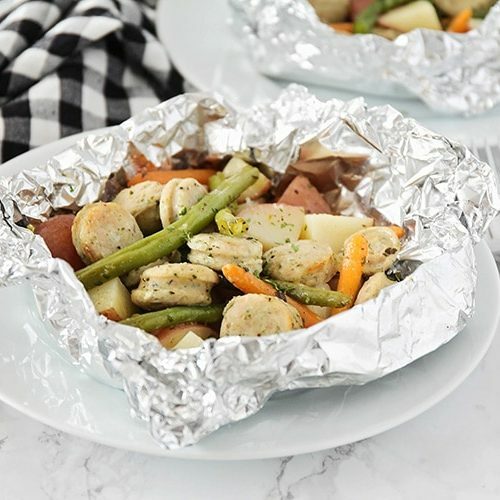 When I make these for my family, I just grease the muffin tin and bypass the liners altogether. To melt the chocolate bark, I cut it into pieces and microwave it with the chocolate chips in 15 second increments. Short time increments will help ensure that your chocolate won’t scorch. I promise, you don’t want scorched chocolate! It will go grainy and seize up and you’ll have to start over. 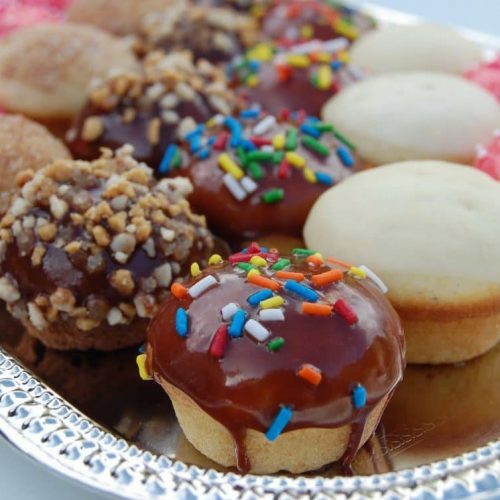 I thought a ganache or a glaze would also be delicious on top of the brownie bites. Do whatever speaks to your chocolate loving heart! 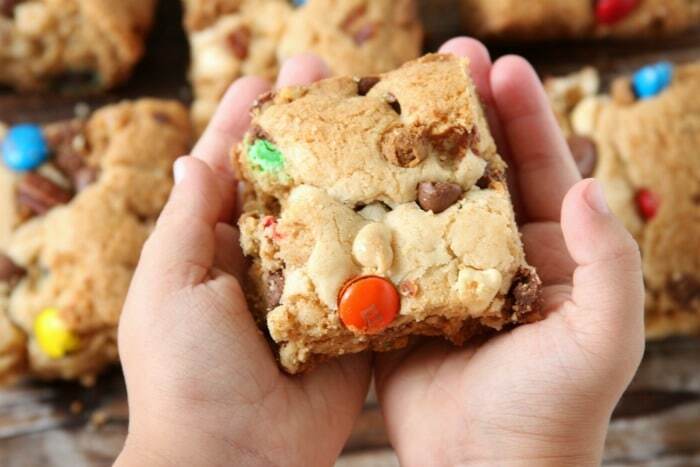 These cookie bars from Amanda at Fake Ginger were such a delicious treat to get in the mail! 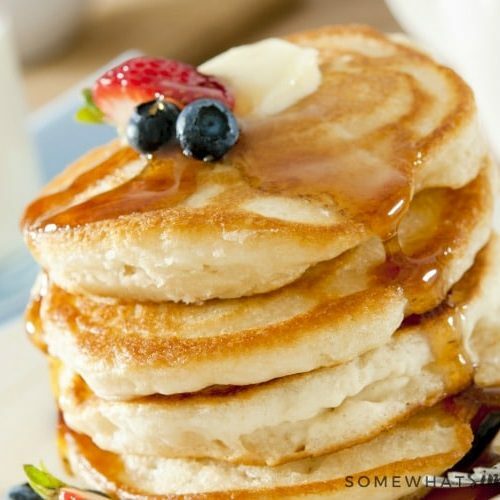 Thanks to Pillsbury for the fun opportunity to participate in this blog hop! 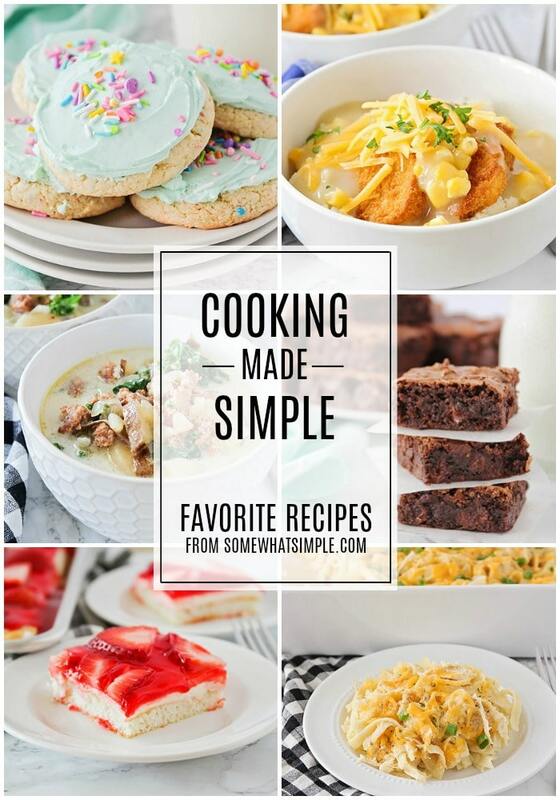 We partnered with Purely Simple Baking Mixes for this post. All thoughts are 100% mine. Thank you for supporting the brands that support Somewhat Simple.